Bagaholicbébé: The Beauty Sets Under SGD250 We Love! If you plan to splurge a little this Christmas, then you’ve definitely got to check out this list. From limited-edition luxury candle sets to exclusive skincare, we’ve curated five of the best beauty sets this holiday season. Shop away! Great for your sun and fun-loving friends, this pretty coffret evokes the joyful spirit of the Italian Mediterranean with silver Christmas motifs standing out against the sea blue background of the hatbox. Inside, you’ll find the juicy, citrusy-floral Blu Mediterraneo Chinotto di Liguria EDT fragrance, as well as its accompanying body lotion and shower gel. Basically everything you need for a day out at sea or on the beach. 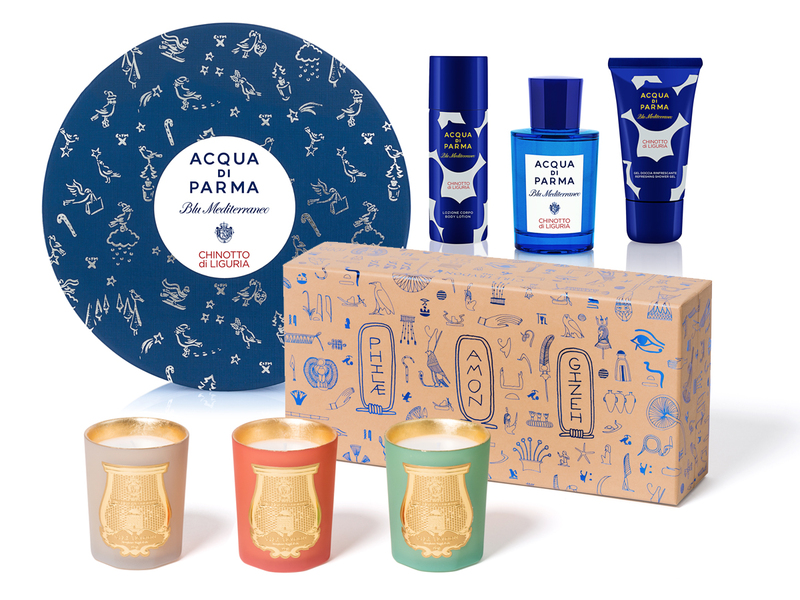 This ultra-chic collection contains three 100g candles inspired by Egypt, all set within a limited edition box decorated with Egyptian hieroglyphs. The Philae candle, named after an island on the Nile, has a soft papyrus fragrance that brings with it a timeless heritage. Named after one of the key divinities of the Egyptian Pantheon, Amon has notes of cedar wood and incense while Gizeh has a distinct candied-firewood scent that is classic yet soothing. The Prada Bear first made an appearance in the luxury house as an adorable bag charm. This Christmas season, Canadian illustrator and artist Tracy Walker has created the Prada Bear Parade, a reinterpretation of the popular fashion accessory that can be found decorating Prada Parfums’ holiday collections. This ultra-cute set contains a full-sized EDT and body lotion, as well as a 10 ml roll-on, all with the fresh, green scent of frangipani, mandarin and ylang ylang which La Femme L’eau is known for. This Christmas coffret contains five 15 ml bottles of the Korean brand’s iconic pre-serum that helps to hydrate, tone, balance and prep your complexion. Why we’re obsessed with it? The serums come in different limited-edition scents: woody, floral, classic herbal, fruity and spicy. 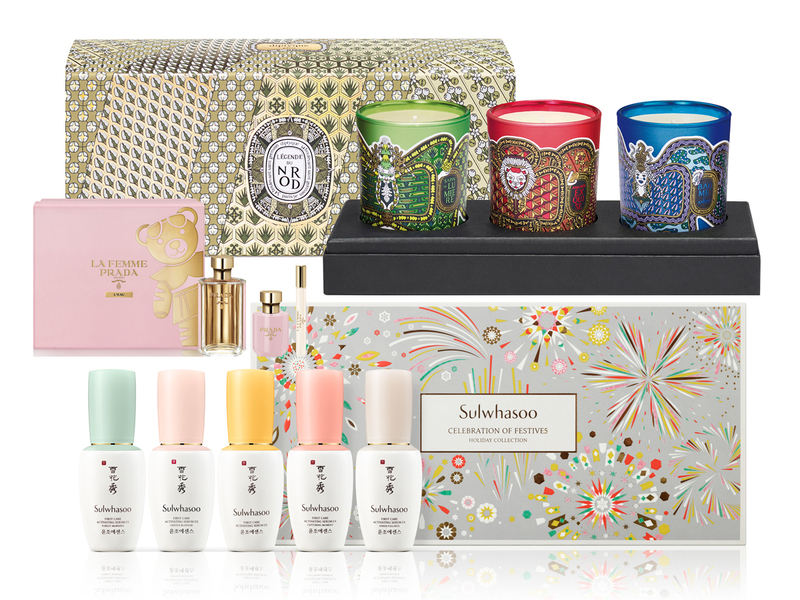 The set also comes in a cheerful box inspired by Obangsaek (the five traditional Korean colours), fireworks and confetti. It’s the perfect gift for skincare junkies and the fun-sized serums are travel-friendly too!